2019 is right around the corner. Get ready for the crazy celebrations with this list of New Year’s Eve traditions from 7 countries around the globe. This list of epic New Year celebrations wouldn’t be complete without a nod to the ball drop in Times Square, among other fabulous ways to “ring in” in NYC. Traveling to New York City over NYE may be very pricey, but it’s worth it. 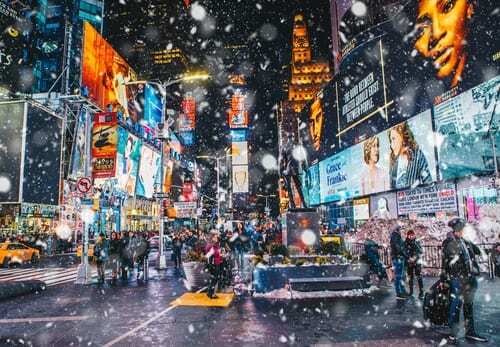 Whether you like to ring in the new year with a big party, a fancy dinner, or just a change of scenery – New York has something for everyone to welcome 2019. Besides watching the ball drop, there are concerts and shows at the Lincoln Center and in music halls in the Lower East Side. Alternately, you can book a New Year’s Eve cruise for an unbeatable view of the fireworks over the city. 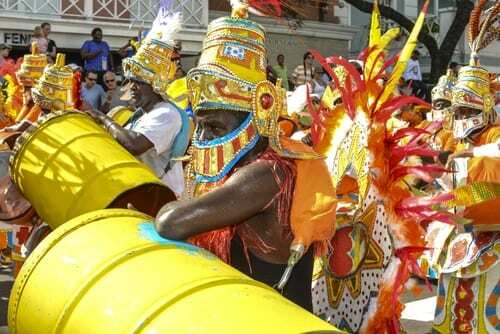 If you’re visiting Nassau this winter, be sure to book if over Junkanoo, a Bahamian festival that takes place on both Boxing Day and New Year’s Day. The party starts at 2 in the morning on the first day of the year. The series of vibrant parades carry on until 10 AM, and are an important part of the islands’ holiday traditions each year. It is said to have originated in the late 18th century, when Bahamian slaves were allowed to leave their plantations to celebrate Christmas as a community. 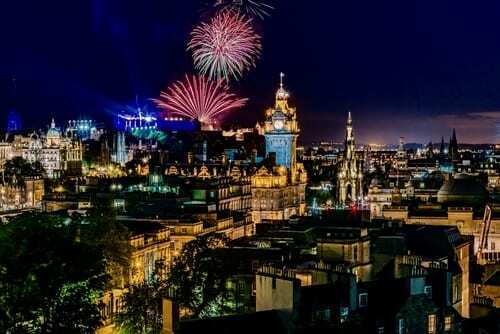 The Bahamas may celebrate for two straight days, but Scotland’s New Year’s Eve celebration lasts three days! You’ll find most of the party in the capital city of Edinburgh, but you’ll also find some spectacular celebrations throughout the entire country. The three-day affair, dubbed Hogmanay, starts on December 30th each year, when revelers create a “river of fire” by carrying torches through Old Town, from Parliament Square to Calton Hill. Pipers and drums accompany the fire holders, for a celebration you won’t soon forget. If that isn’t quite crazy enough for you, opt to take part in the Loony Dook. For this, you’ll don a costume and plunge into the firth of Forth rivers. Parisians celebrate the New Year much like New Yorkers, with glittering parties, shows, and plenty of restaurants and clubs to choose from. You may want to start your night off on the Champ de Mars, the first floor restaurant of the Eiffel Tower. The eatery acts as a gathering point for people ringing in the new year. You can also catch a light show on the Champs-Élysées near the Arc de Triomphe, or take part in a street party on Sacré-Coeur. 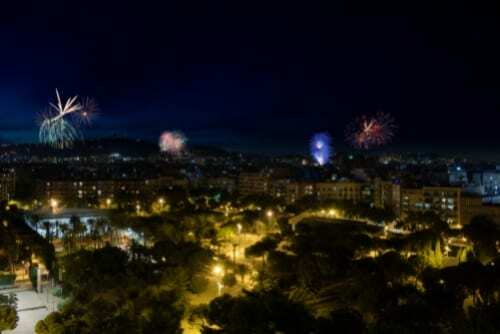 While you won’t find an official fireworks display up on the hill here, you will be able to see all of the fireworks throughout the city. In addition, the neighborhood of Montmartre is full of cabarets, bars, and clubs to head after midnight. 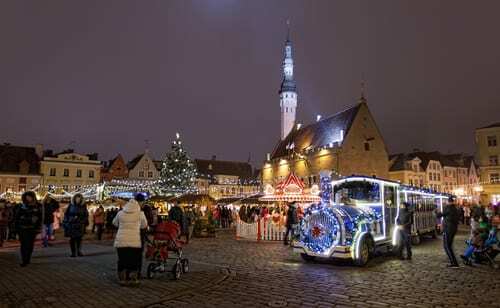 Estonia is the perfect place for foodies to to ring in the new year. Be sure to save room in your belly for this one: Estonians believe in eating a lucky number of meals on New Year’s Eve. What a fabulous excuse for gluttony! More particularly, the numbers seven, nine, and 12 are considered lucky, so you are supposed to eat at least seven meals on this day (and if you eat eight, you might as well eat nine for the luck, and so on…). As the tradition goes, Estonians believe that eating seven, nine, or 12 meals on this day will give you the strength of that many men in the new year. Canada is one of the best places to celebrate the new year, with celebrations spanning both coasts. 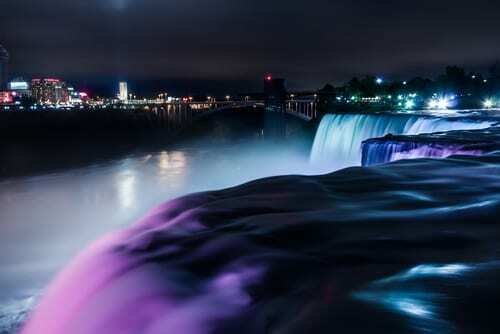 One great option is heading to Niagara Falls for New Year’s Eve. Here you’ll find a free party in Queen Victoria Park, with a spectacular fireworks show over the gorge. In Vancouver, ring in 2019 at Canada’s largest New Year;s Eve party in Coal Harbor. Here you’ll find fireworks, concerts, food trucks, and endless entertainment. No matter what area of Canada you find yourself in for NYE, you’re sure to find a great party and fireworks show. In Spain you’ll find a rather quirky tradition. Here, Spaniards celebrate the new year by eating 12 grapes, one for each stroke of midnight. If done successfully, you’ll have a year of good luck. To take part as a group, head to the Puerta del Sol in Madrid for Nochevieja, aka New Year’s Eve. With 12 grapes in one hand and a glass of cava in the other, toast to 2019 in a totally unique way. After the grapes, the real party starts and lasts into the wee hours of the morning. Call us today to book your own New Year’s Eve getaway. You can reach us at 402-281-3022 or get started here.